For the second day of Tea Time Snacks, I have a Andhra Special Alasanda Garelu which incidentally is also prepared in Tamil Nadu. As I always think, one dish gets popularised by some states and it becomes famous for that particular state. Whereas the same ingredient and dish would still be prepared in other places, yet never comes to light. I believe this Alasandala Garelu is same. 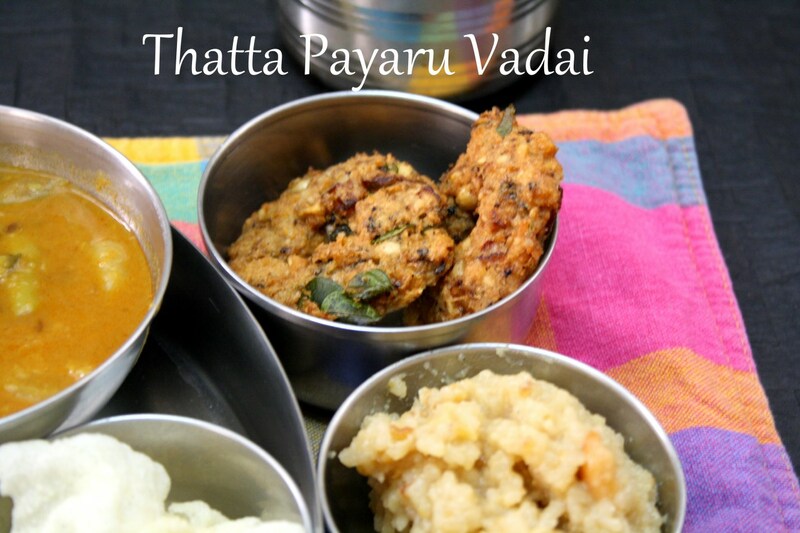 These vadas made from Black Eyed Peas or Alasanada is so famous in the Rayalaseema Region of Andhra, where it is served along with a non veg gravy and is part of every festival and occasion. 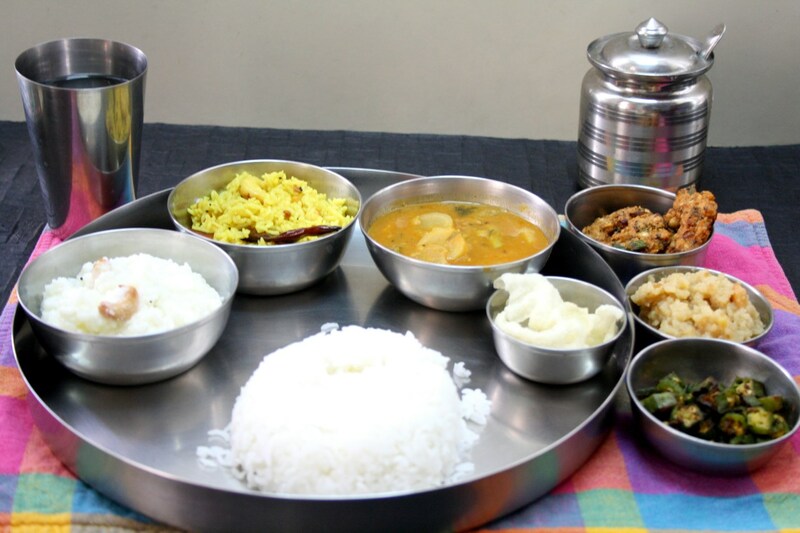 I was surprised that this is prepared almost the similar way in Tamil Nadu too and the preparation is almost the same as how we prepare by Andhra people. 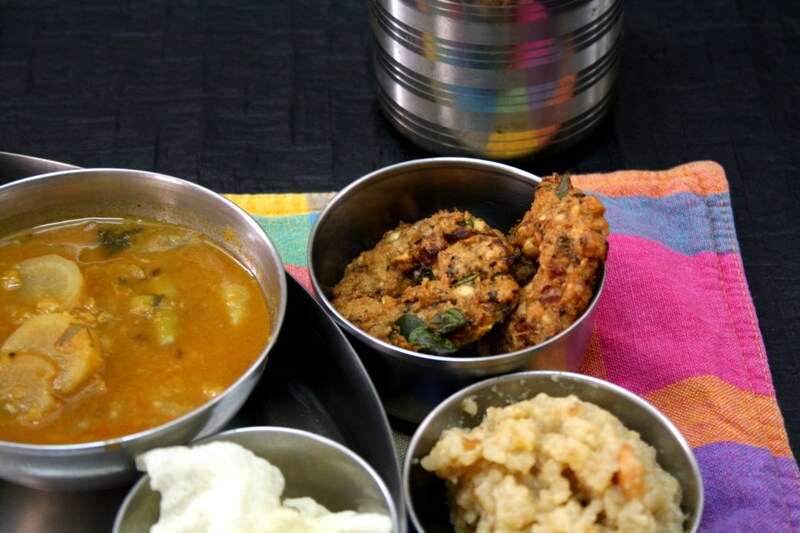 Since I have never lived in Andhra, I can’t take rights to say what it is, only going by what I have learnt from Amma and Athamma, who have strongly preserved their style of cooking even now. Amma, of course has a blend of Tamilian culture in her cooking, whereas Athamma had no such exposure even though she lived here for over 8 years now. Though these vadas have always been part of our cooking, I got more exposed to it only after marriage. The first time I went to my in laws place, I saw Athamma making a huge batch of these vadas and later this continued in my home as well. As I was planning for a festival menu, I thought I will make this. little differently than our regular method. I do not follow the concept of no onion no garlic for festival dishes. I believe if you are offering to God, it should be delicious as how you would want to eat. So unless until Amma specifically tells me, I never bother. She still makes first batch without onions and offers to God, while I take a blind eye to it. Well each one to their! While you might also want to check out the Kerala Style Potato Fry. Wash and soak the Black eyed peas in twrice the amount of water overnight. Next moring change the water couple of times and drain well. Take the peas in a mixer, add chopped red chilies, salt and grind to a coarse batter. Transfer to a bowl. Add finely chopped onions, crushed garlic, chopped green chilies, cumin seeds, chopped curry leaves, mint leaves and coriander leaves. Heat a Kadai with oil for deep frying. Simmer once its hot. Meanwhile remove small balls of batter, pat it down, make a hole in the center and gently slide into hot oil. You can use a plastic sheet to make the discs, or your palms to make. Just remember it should be wet but not with too much water. Cook on both sides of the vada and drain them to a kitchen towel. I have never used black eyed peas in vadas. Sounds very interesting. Super crispy vadais, feel like munching some..love it. Yummy and crispy. They are popular street food too in Rayalaseema. These peas are new for me as well in vadas. Nice..And I dont even follow the tradition of offering to God. It goes straight to the camera :D! Coincidentally, I had these vadas today – made by my friend from Andhra. They do taste absolutely delicious. This is very interesting. Must try it for sure. Oh what a crispy and delicious black eyed peas Vada. Lovely vadas. Black eyed peas taste awesome in a vada.